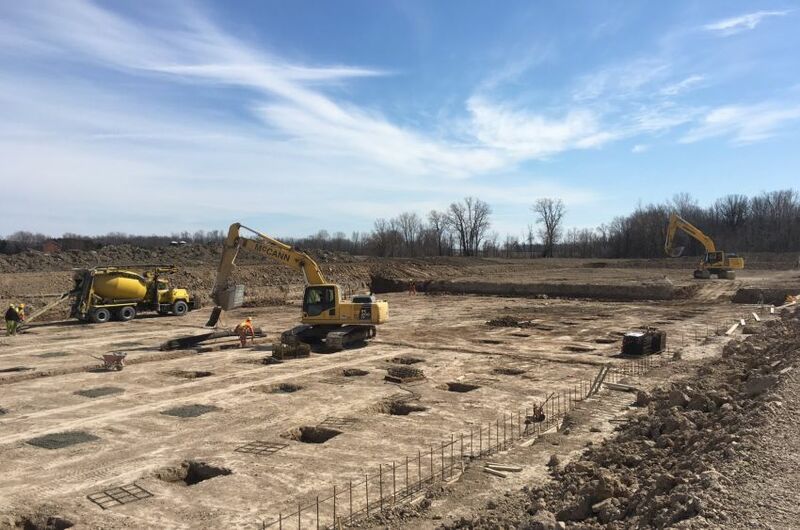 Soils testing for this project took place in January with design meetings starting late January / early February and within 4 weeks final construction drawings were ready for the client. 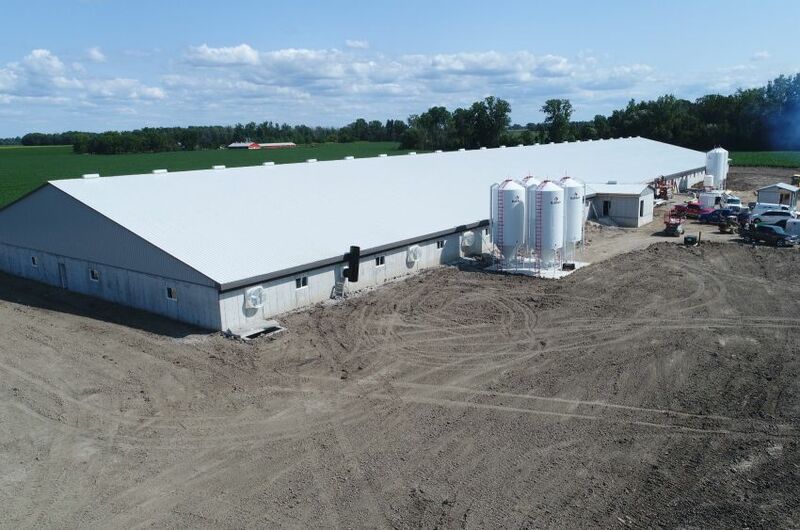 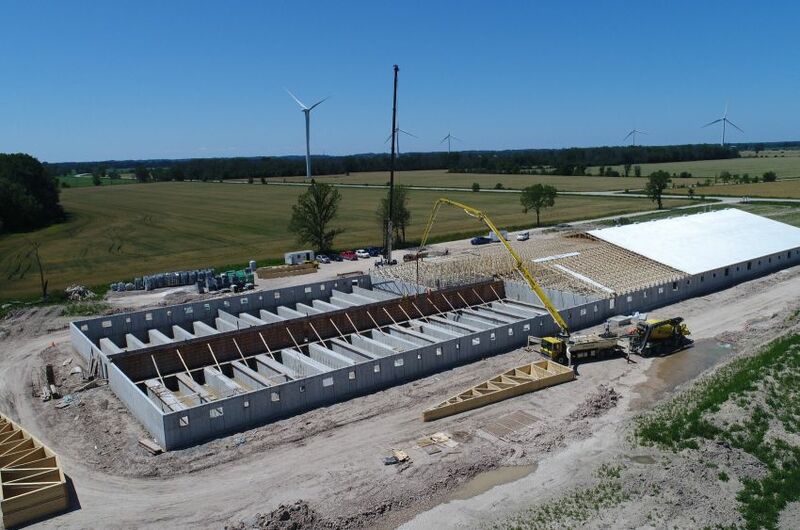 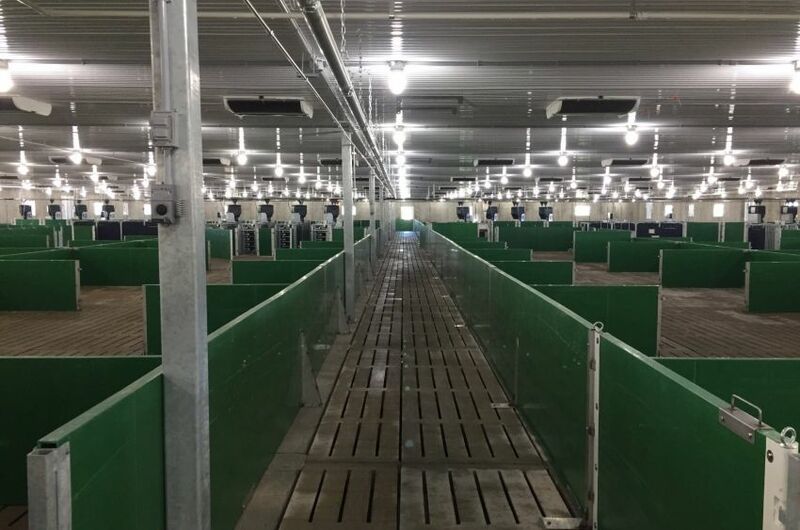 This 1300 head sow barn consists of a dry sow area, breeding stall area, farrowing rooms, as well as office, utility and employee areas. 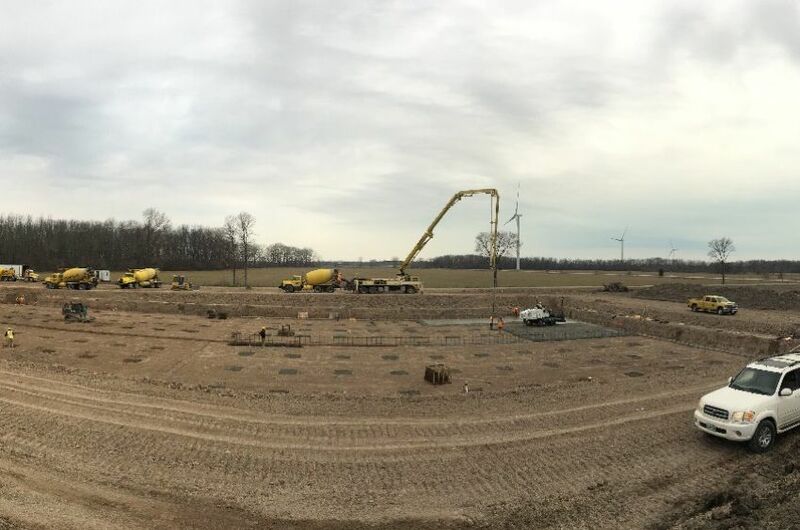 Due to a mild winter we were able to break ground in late February. 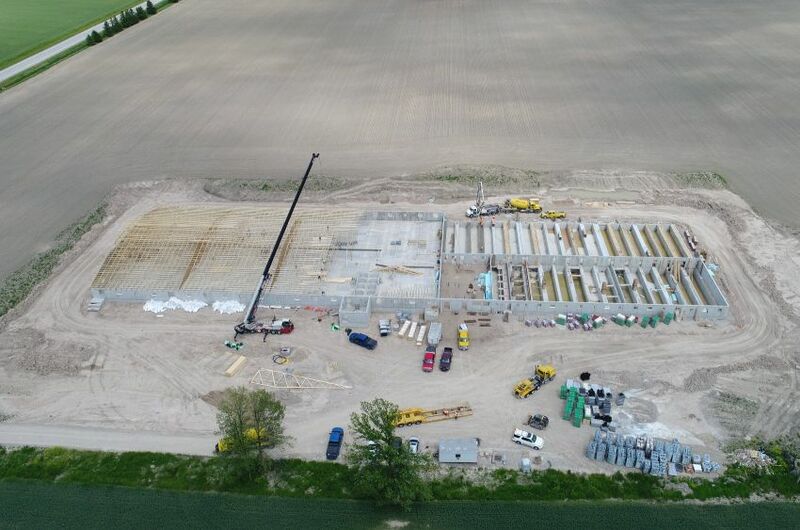 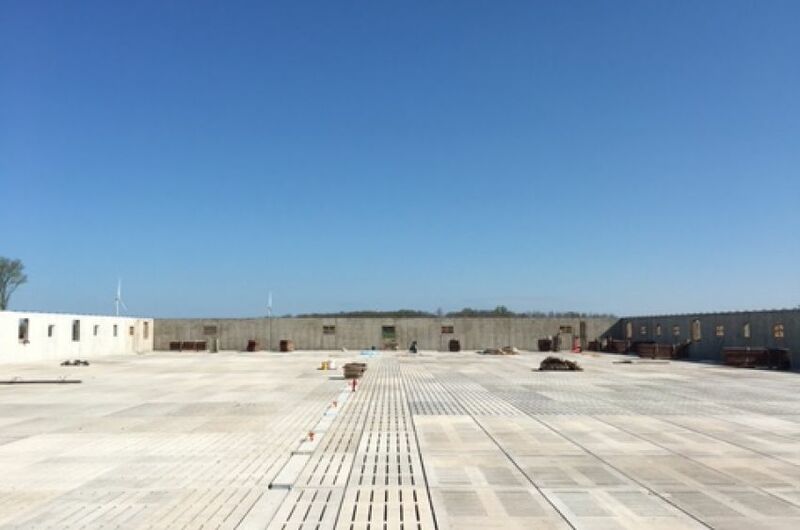 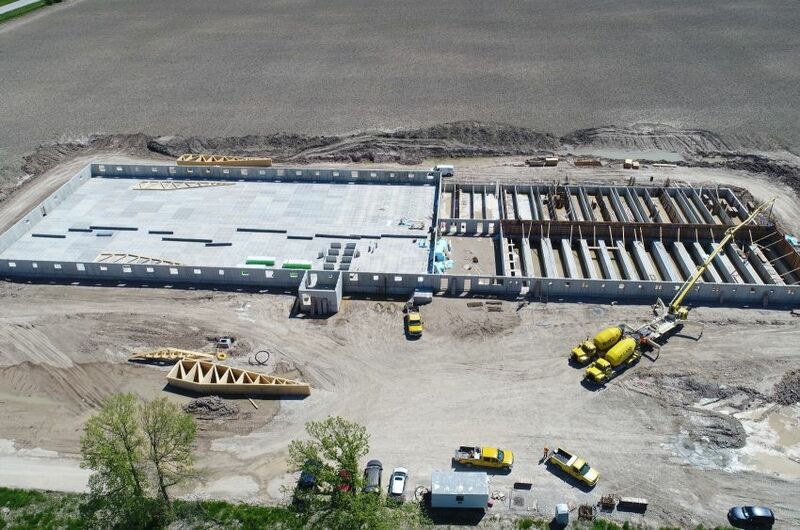 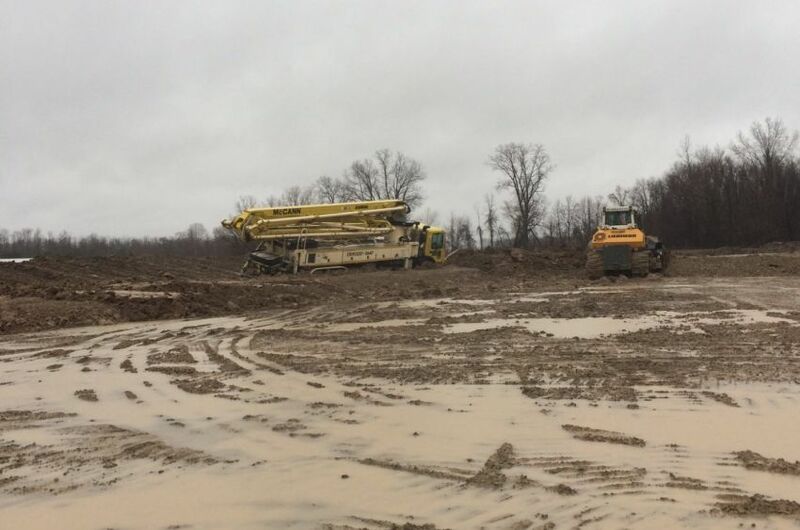 A wetter than normal Spring followed which made the concrete work interesting with what seemed like endless trucks being towed around the site to allow for concrete pours to stay on schedule. 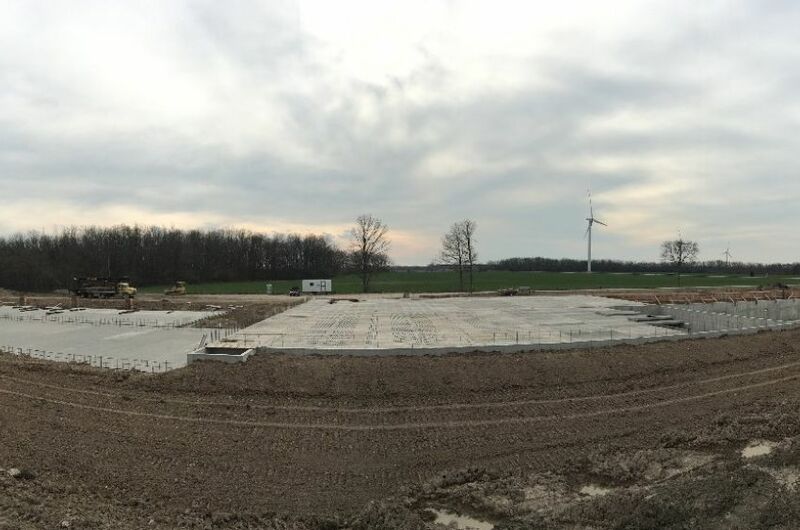 Framing started June on one end of barn while the concrete work was being completed on the other end with equipment, mechanical, and electrical work all following suit. 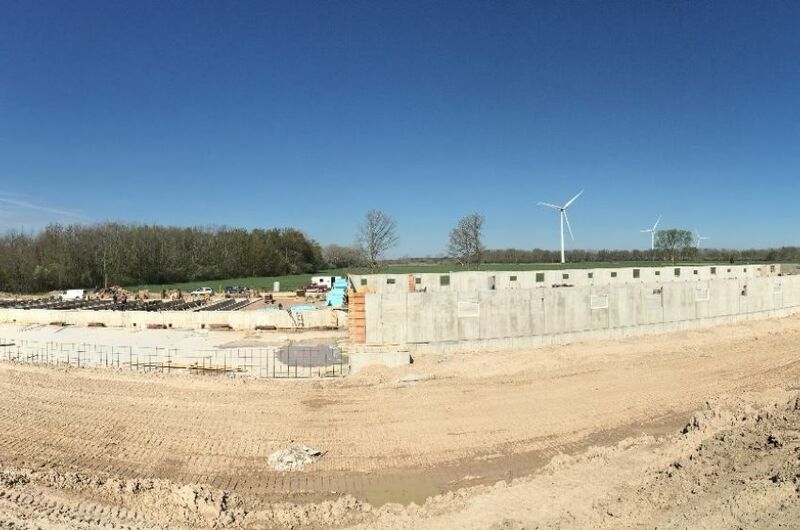 I have been very pleased with the concrete work done by McCann"s on the new sow barn. 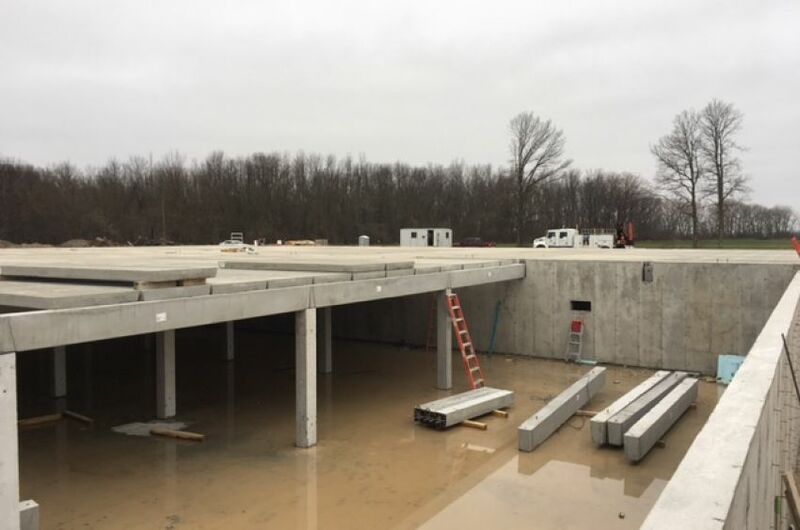 Clint and his crew worked very efficiently to get the concrete work done on schedule. 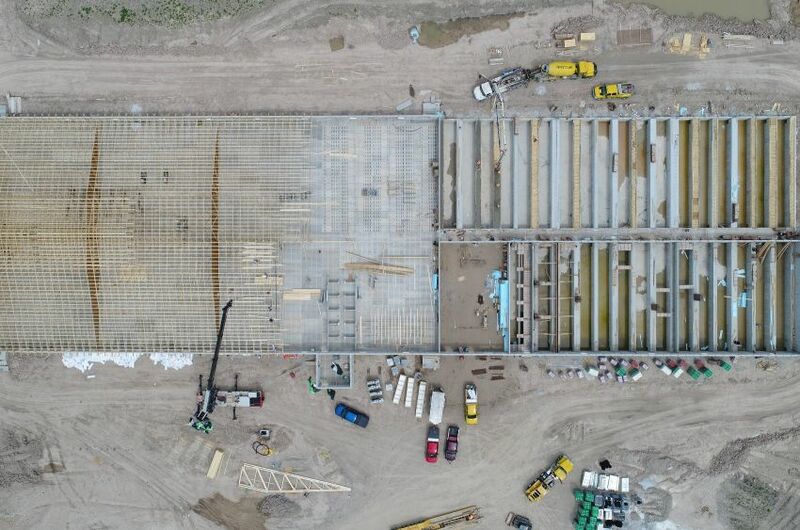 From the office meetings in the early stages all the way through the building process, everything was done very detailed and professional.